Huge bass and volume for a great price! 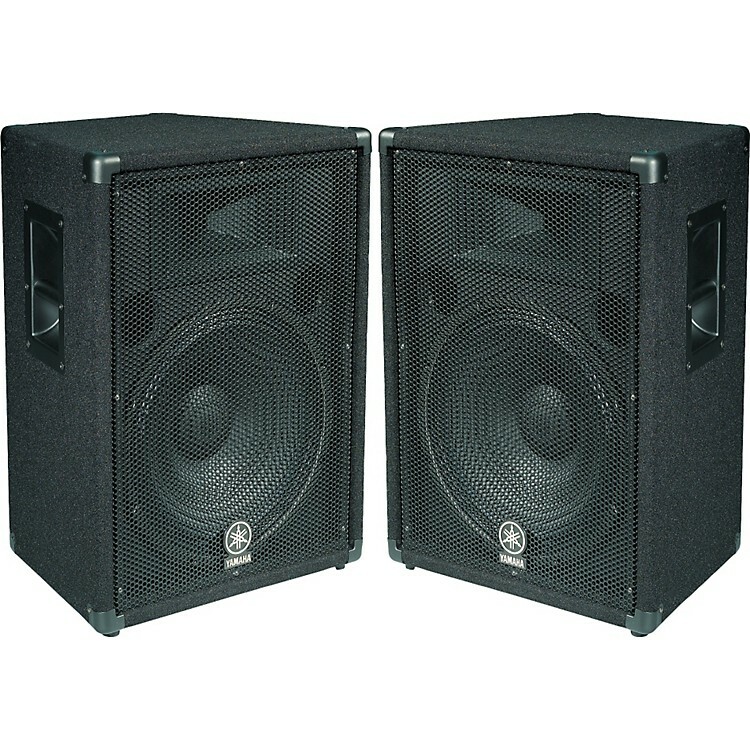 These Yamaha BR15 15" 2-Way Speaker Cabs can really punch out bass and everything else. Easy-to-handle audio speakers feature computerized, high-precision, environmentally friendly woodworking; large steel handles; corner protectors; built-in pole sockets; and balanced acoustic design. Tight, punchy lows come from Bass Reflex technology while crisp (not brittle) HF response is generated by new titanium drivers with 90 degree by 40 degree nonresonant horns. Integral protection circuitry and 3-year warranties mean they'll never let you down. High performance and affordability from one of the most respected names in the business. Order now.